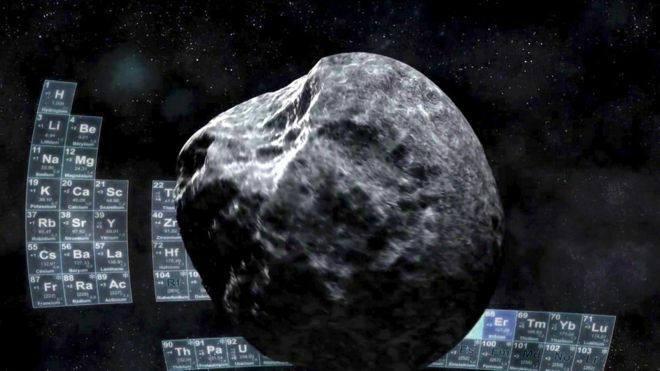 (P1) The government of the nation of Luxembourg has announced a plan to MINE ASTEROIDS in space. (P2) It is going to support R&D in space mining technologies and may invest directly in some companies. (P3) Former European Space Agency director Jean-Jacques Dordain will advise the project. (P4) He told reporters that space mining was no longer science fiction in the pages of a JULES VERNE novel. The basic technologies – of landing and returning materials from asteroids – have been proven to work. (P5) He urged European entrepreneurs to follow the example of American companies that had already begun to consider how they could EXPLOIT the expensive metals, rare elements, and other VALUABLE resources in space. (P7) Two notable American companies, Deep Space Industries and Planetary Resources, have begun assembling teams to design spacecraft systems that can explore asteroids and IDENTIFY minerals and metals that can be mined. (P8) 13,500 asteroids have been discovered. Some may contain rare metals on their surfaces that are important to high technology but difficult to find on Earth, such as platinum, iridium, and palladium. (P9) Although it is a small nation, Luxembourg has an important position in space activity. (P10) It is the HEADQUARTERS of SES, the world’s largest commercial satellite telecommunications company. Intelsat, the second biggest company in that industry, also has offices in Luxembourg. (P11) Luxembourg now wants to become a HUB for European space mining companies. (P12) During the past decade, space missions run by international agencies have landed on asteroids and returned samples from them. (P13) The next step would be to extract and return enough valuable minerals and metals to JUSTIFY the high cost of mining in space. Do you think that mining in space will be economically practical? Have you seen recent movies about this sort of space exploration, such as The Martian or Moon? Jules Verne is the first great SCIENCE FICTION writer. Have you read much science fiction? Luxembourg is a very small country. Why is it getting involved in this project? What are the BENEFITS? HOW SCARY ARE THE CHEMICALS AROUND US?